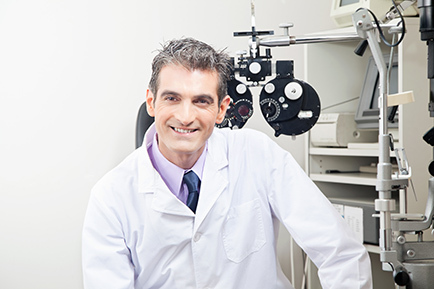 Eye Consultants of Syracuse provides comprehensive ophthalmology treatment, as well as specialized services. Our practice has been providing comprehensive medical, surgical and routine eye care for both children and adults for over 40 years. All of the doctors at Eye Consultants are specially trained and have teaching responsibilities at SUNY Upstate Medical University. Many of our doctors are subspecialty trained and are consultants to other doctors for patients with complex problems. This allows us to offer our patients a broad spectrum of specialized eye care in our facilities. Eye Consultants also has an on-site Optical Shop and Contact Lens Shop for all your corrective lens needs. With one of the widest selections of eyeglasses and contact lenses in the area, Eye Consultants can accommodate all of your family’s eye care needs.